What a difference 65 years makes. 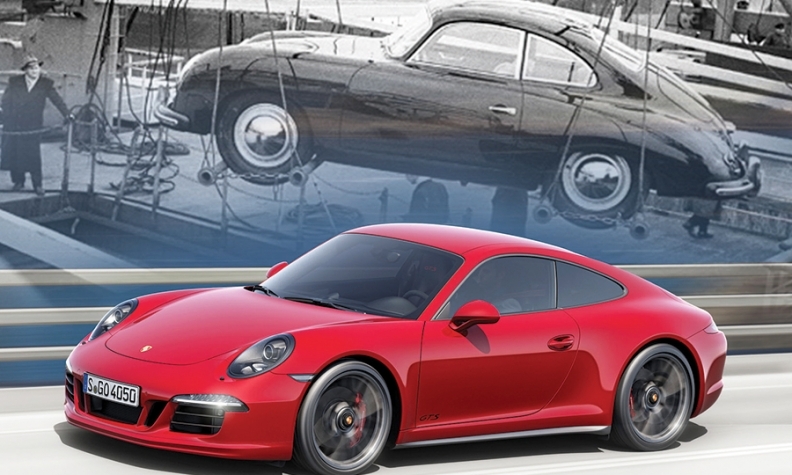 When Porsche started selling its iconic 356 sports car in the U.S. in the fall of 1950, Ferry Porsche hoped importer Max Hoffman might sell five Porsches a year. Hoffman famously replied: "If I cannot sell five per week, then I'm not interested in the business." It didn't happen overnight. Hoffman sold an average of three Porsches per month in that first year in America. Compare that to April 2015, when Porsche topped the 5,000-vehicle mark for the first time ever, selling 5,217 vehicles -- Boxsters, Caymans, 911s, 918 Spyders, Cayennes, Macans and Panameras. Porsche says it is now nearing 500,000 vehicles on the road in the U.S. The new monthly sales record pushed Porsche's year-to-date sales up by 17 percent and added to the celebratory mood as the brand opened its $100 million U.S. headquarters and customer experience center in Atlanta on May 7. Furthermore, "reaching more than 5,000 cars in April puts us on track to reach 50,000 cars in a year," said Porsche Cars North America CEO Detlev von Platen. He now expects to hit that milestone this year, three years earlier than once anticipated.